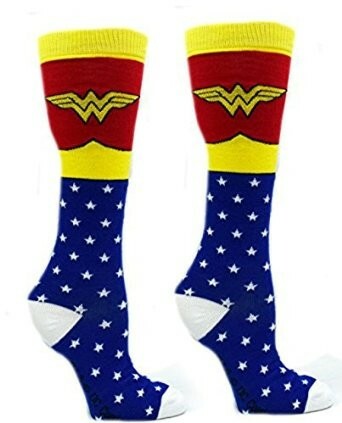 These Wonder Woman socks will show off your superhero flair! These 70% polyester, 20% nylon, 10% spandex socks feature the iconic Wonder Woman logo as well as her trademark colors. One size fits most women's shoe sizes 4 - 10. For more products featuring this iconic female superhero, visit our Wonder Woman Collection.